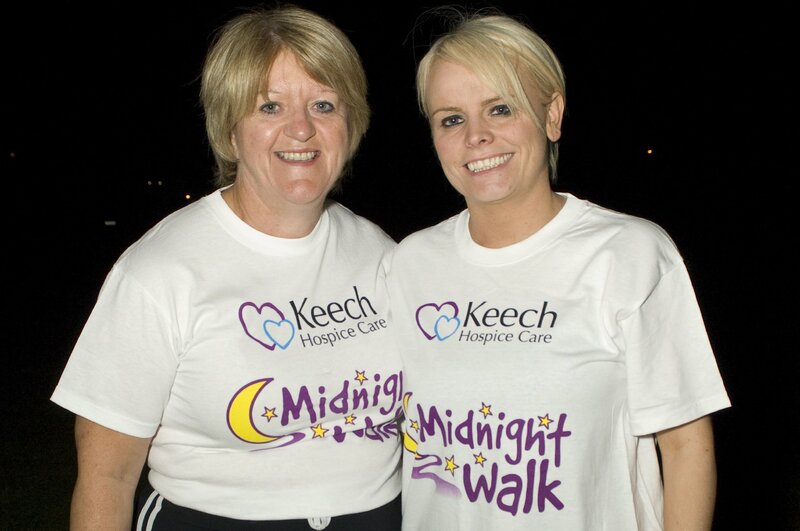 Maria Collins who owns Home Instead Senior Care in Luton and her daughter Debbie, joined hundreds of other women to take part in the Luton Midnight Walk to help raise £100,000 for Keech Hospice. Maria and Debbie raised £150 for the local hospice when they joined 750 other women embarking on the Luton Midnight Walk to raise money for this cause. The walk was attended by award-winning chef Jean Christophe Novelli and Heart FM who provided entertainment for the walkers to keep spirits up and keep the ladies going. With local fitness instructors on hand to get attendees warmed up and plenty of walkers donning fancy dress costumes, the ladies had a great time whilst raising money for such an important local cause. Photo caption: Home Instead owner Maria Collins (left) and daughter Debbie Collins (right) don their fundraising T-Shirts and walking gear to help raise money for Keech Hospice.